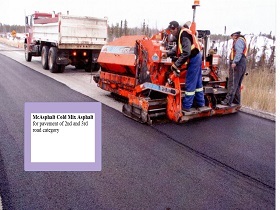 Cold Mix Asphalt, produced based on the Perma Patch technology and concentrate, has a wide range of applications. It is used both as a pothole patching material in road pavements and airport runways, and as a main road pavement in low-volume roads, vehicle parkings, sidewalks, parks and playgrounds. It is also used as a waterproofing material on flat roofs and parking garages, as a hydrophobic layer in construction of oil reservoirs. 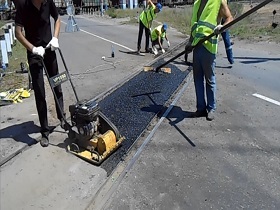 We bring you some of the examples of Perma Patch Cold Mix Asphalt applications, as well as some of the projects, performed by our representatives in the countries of the CIS, Europe and North America. 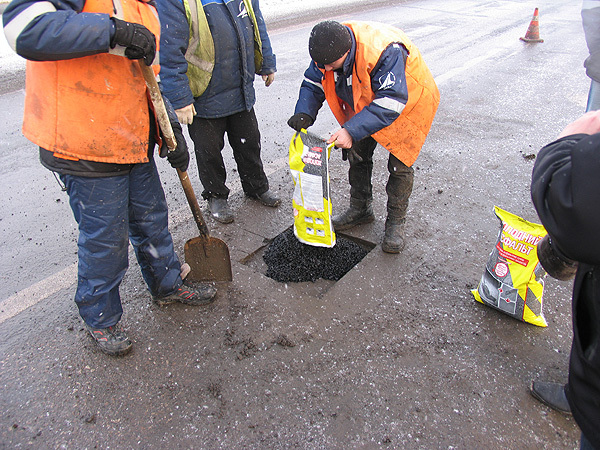 Perma Patch Cold Mix Asphalt is the ideal solution for quick and permanent patching of potholes. Perma Patch Cold Mix Asphalt is used by municipal, provincial and federal agencies to repair wheel rutting on roads and highways. Perma Patch Cold Mix Asphalt is the ideal solution for quick and effective patching of utility cuts on roads and sidewalks. 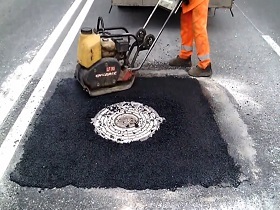 Perma Patch Cold Mix Asphalt serves as a permanent material around manhole covers, water valves, drains. Perma Patch Cold Mix Asphalt serves as a permanent material on railway crossings and tracks, allowing for a quick and cost-effective solution. 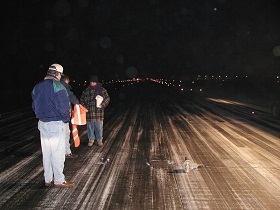 Perma Patch Cold Mix Asphalt is the easiest, most reliable and cost-effective method to fix potholes in airport runways, taxiways and aprons. 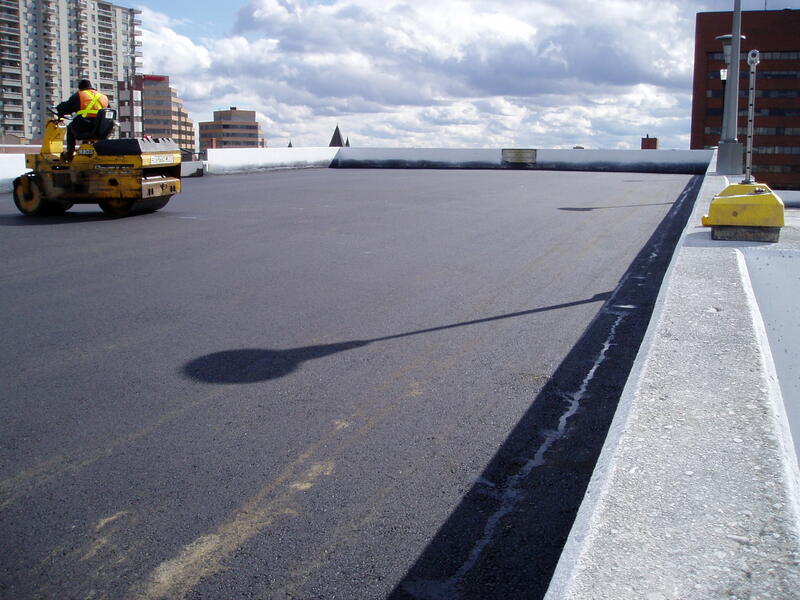 Perma Patch Cold Mix Asphalt is commonly used for waterproofing of flat rooftops of industrial buildings and public parking lots. 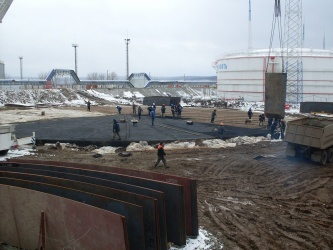 Perma Patch Cold Mix Asphalt is used as a hydrophobic layer in the construction of oil reservoirs in oil terminals. 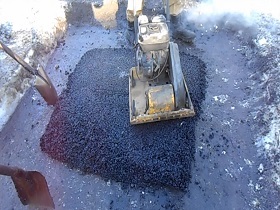 Perma Patch Cold Mix Asphalt serves as a main asphalt pavement on 2nd and 3rd category roads. 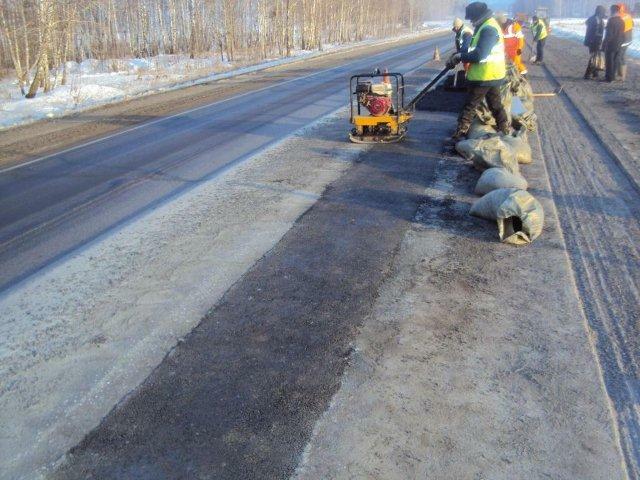 Perma Patch Cold Mix Asphalt has excellent workability and compaction even at the lowest temperatures.